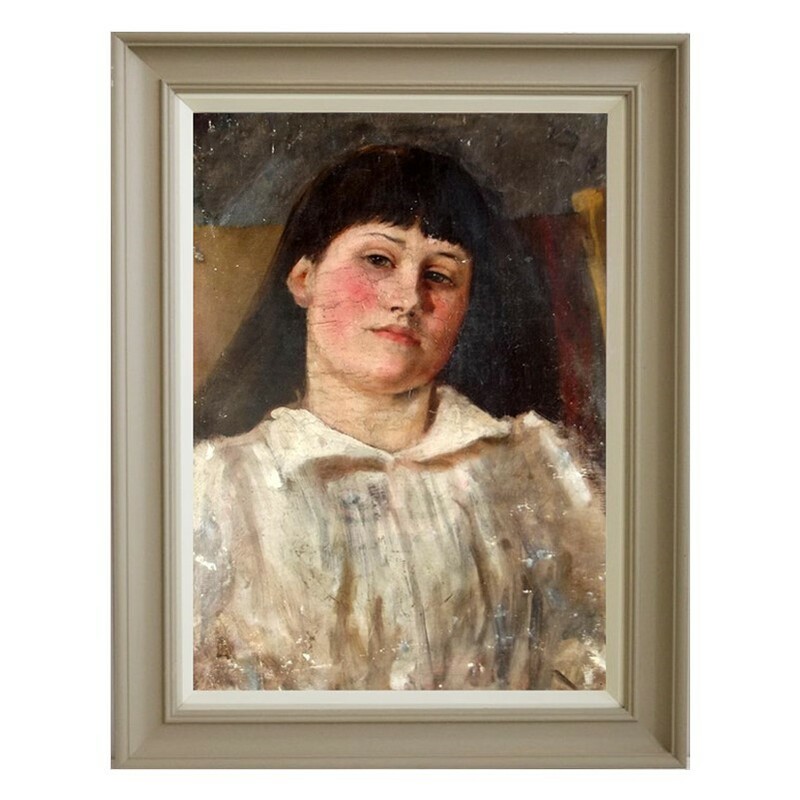 Imposing, late 19th century, oil on canvas depicting a young girl. It's the girl's knowing eyes that draw the viewer in, the blush of her rosy cheeks. Her dark long hair with trimmed fringe contrasting with the lace collar of her dress. One does wonder, who is she? what is she thinking? The pose and style reminiscent of Augustus John. 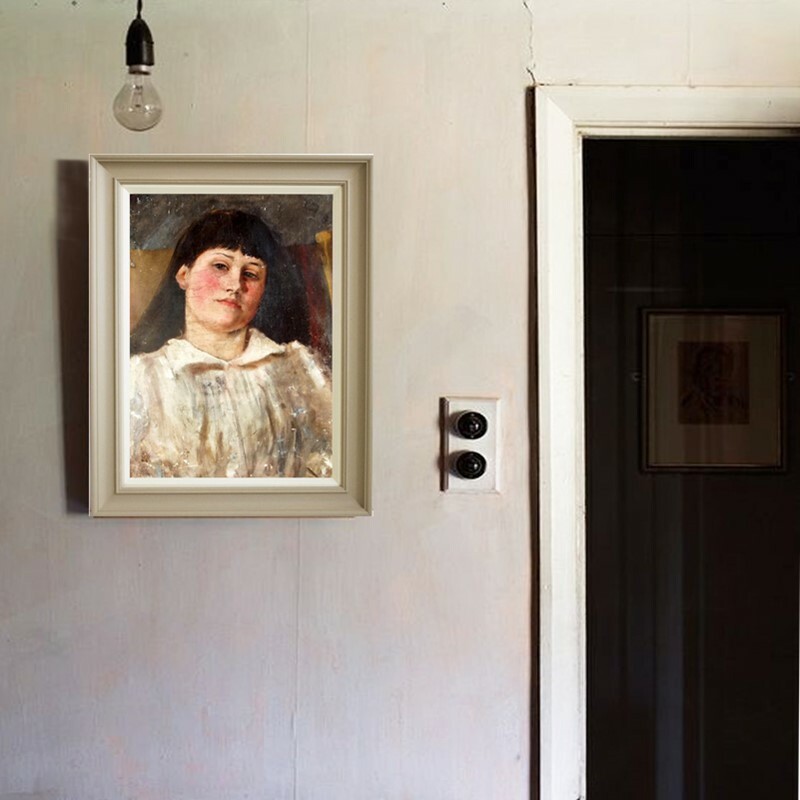 Beautifully painted in a semi realistic style favoured by the period, a painting that you will fall in love with. 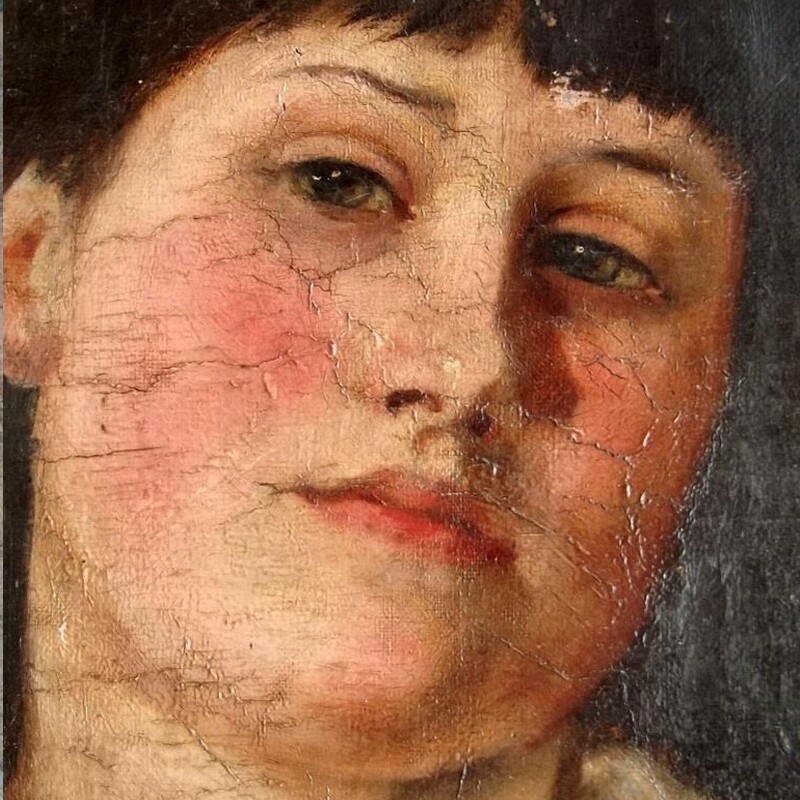 Condition; Some creases and paint losses, craqueleur to the face adding to this painting's charm.